This Vision Plan is a community-driven catalog of the efforts already underway. It is also a record of the pollution, access, and investment barriers facing the Waterways, and a plan for how to overcome those barriers to achieve a unified vision. 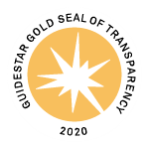 Together, Riverkeeper and the Guardians of Flushing Bay launched this vision process in 2016 in order to help put to paper the energy and momentum building around the clean water future of northern Queens. 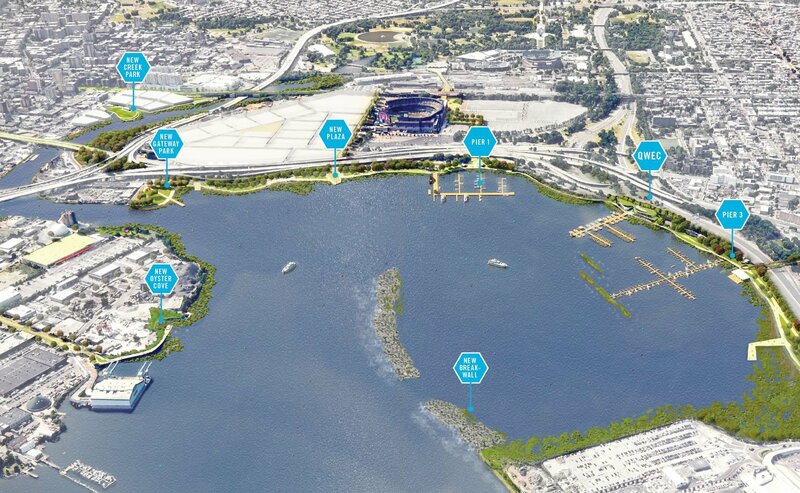 With city plans for sewage and stormwater pollution investments taking shape, redevelopment of Flushing Bay piers starting, and redevelopment plans for Willets Point and downtown Flushing, the waters of Flushing Bay and Flushing Creek needed their own long-term plan. With all of the pollution presently discharging into these waterways each year, and all of the uncertainty around access and investments in the waterfront, there is, and always has been, a community of people fighting for this community resource and a place to play, learn, fish, and paddle. 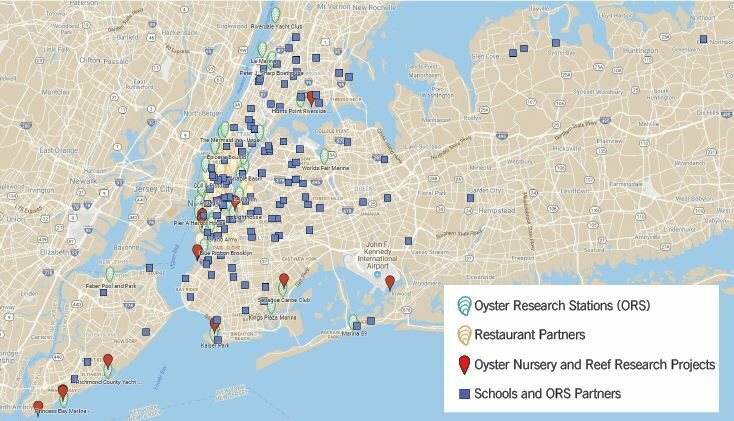 We see Flushing Bay and Creek – together the Flushing Waterways – not as an unapproachable problem, or as forgotten waterways; rather, we see waterways teeming with aquatic life, active recreational communities, clean water stewards, and committed educators. We see a waterway with great potential. This Vision Plan is a community-driven catalog of these efforts already underway. It is also a record of the pollution, access, and investment barriers facing the Waterways, and a plan for how to overcome those barriers. 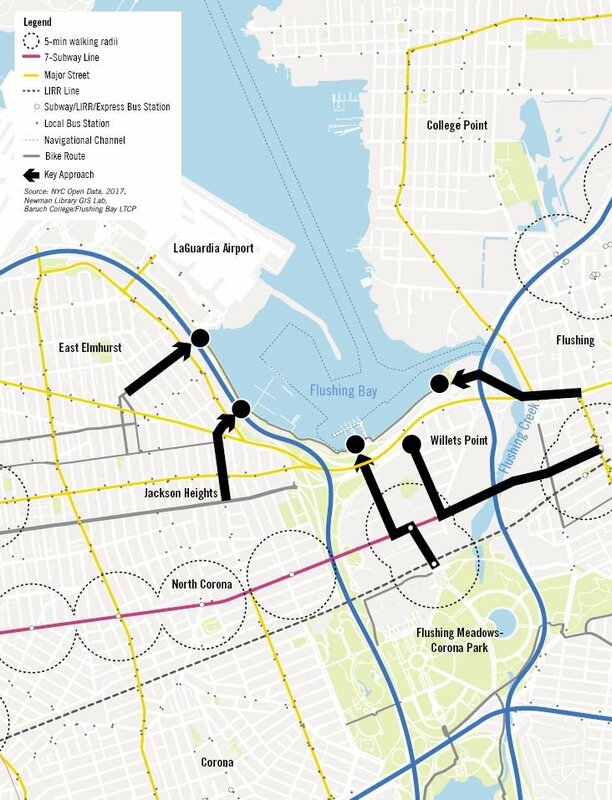 Flushing Bay is in the midst of a major transformation. 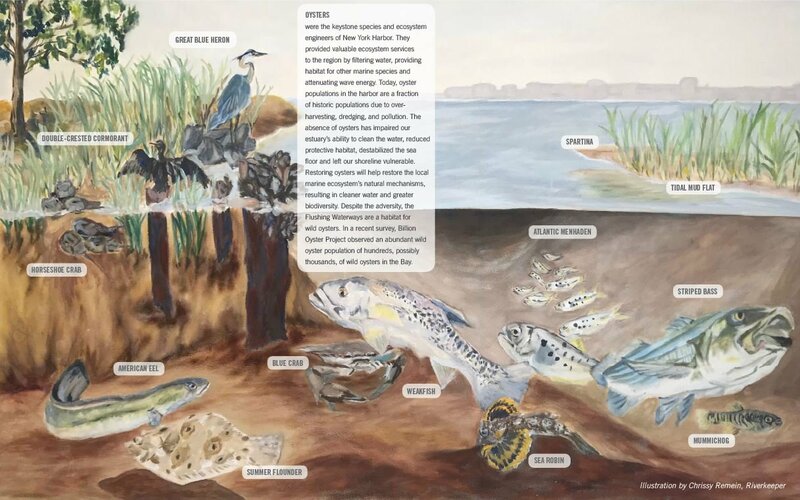 The NYC Department of Environmental Protection completed dredging of odorous sediments and, over the next year, will finish shoreline restoration with wetland plantings. The Parks Department is rehabilitating Pier 1, used by human-powered and commercial boats alike. These two projects bring millions of dollars of investment to the waterfront and demonstrate the growing demand for improved waterways. 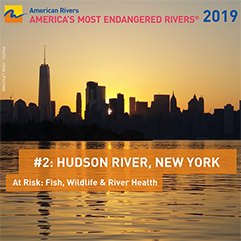 More, though, the Riverkeeper, and Guardians of Flushing Bay see vast potential for continued improvement of the waterways as a thriving and resilient social-ecological system, that provides recreational and educational opportunities, connects community members, and fosters stewardship. To facilitate this potential, we have developed the Queens Water Exploration Center. The center invites active recreational use in the form of human powered boating, cycling, running and walking, as well as exploration of the natural environment. At the same time, there are spaces for learning and venues for an array of cultural activities essential to building and celebrating thriving communities. Importantly, the Queens Water Exploration Center captures and builds upon the immense possibilities the waterfront offers for future generations. 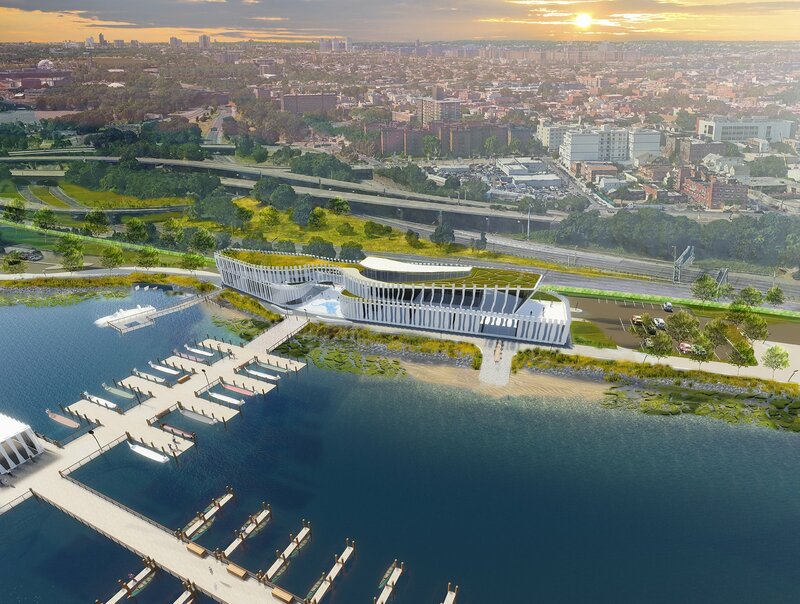 The Queens Water Exploration Center is part of a larger Vision Plan for Flushing Waterways connecting the community to the waterfront, while restoring the natural ecology of the waterways. 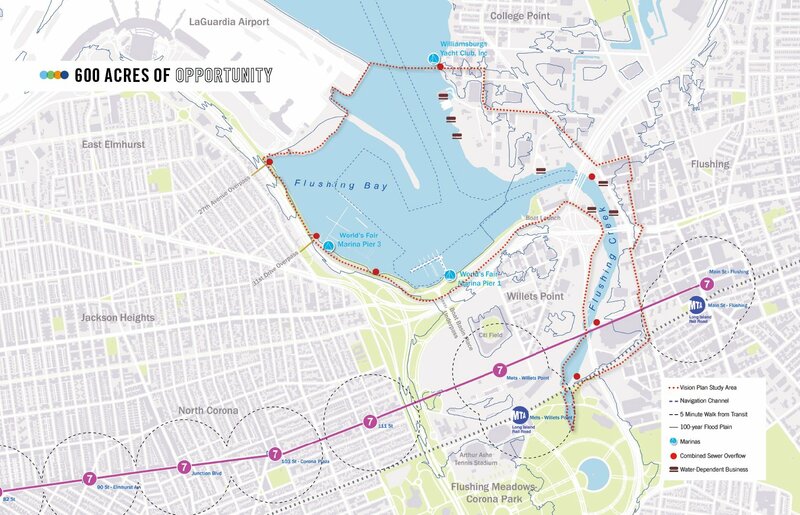 Reach out to Riverkeeper’s Chrissy Remein, Project Coordinator for this visioning plan, with any questions, input, or ideas for the future of Flushing waterways.